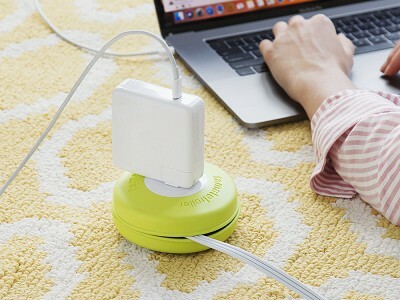 We’re constantly on the lookout for easier, smarter—and safer—ways to manage all our cords both indoors and out, so we were instantly drawn to the extension cord reel and outdoor extension cord from EasyLife. The indoor reel keeps the cable jungle in check. 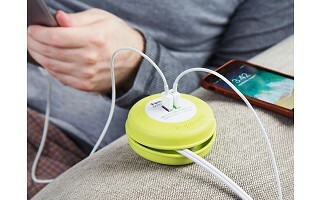 Its silicone sleeve lets out just the amount of cord you want and keeps the rest hidden. Choose from either a traditional outlet or double USB ports to power your devices. 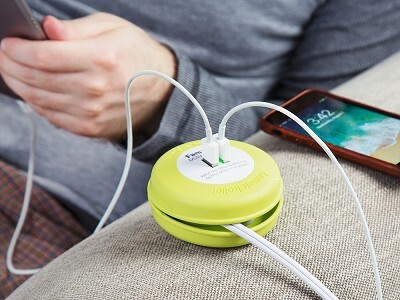 The cord easily rolls up when you’re done, so you can pop it in your bag and take it with you wherever you need a charge. There is a power solution that goes outside, too. 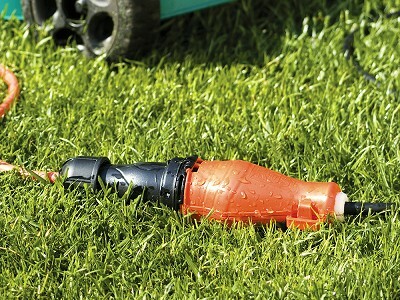 The weatherproof extension cord features a protective shell that shields the power connection from sprinklers, rain, sleet, snow, and mud. Now you can light up your holiday lights or plug in your landscaping tools without worrying about keeping them safe and dry. What does the weatherproof extension cord protect against? The protective shell shields the power connection from external elements such as water, dust, mud, rain, and snow.